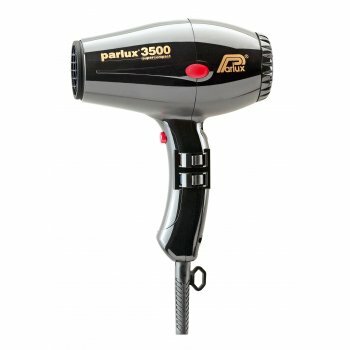 Parlux 3500 Supercompact is a gem of a professional hairdryer. At just 17cm in size, the 3500 is incredibly small and even more incredibly light, balanced and quiet. With its ergonomic shape it is an ideal tool for the most demanding hairdresser. One of the lightest Parlux hairdryers available, it is also the most compact at only 17 centimetres in length.